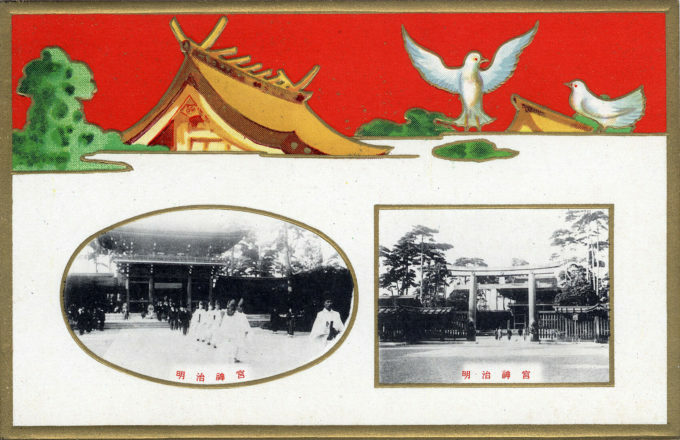 Meiji Shrine Games, Tokyo, 1926. Meiji Shrine Games, Tokyo, 1926. Inset is a photo of Meiji-era physical fitness advocate Kano Jigoro, professor and headmaster at the Tokyo University of Education (later the University of Tsukuba), inventor of judo, and the first Japanese (and Asian) member of the International Olympic Committee. 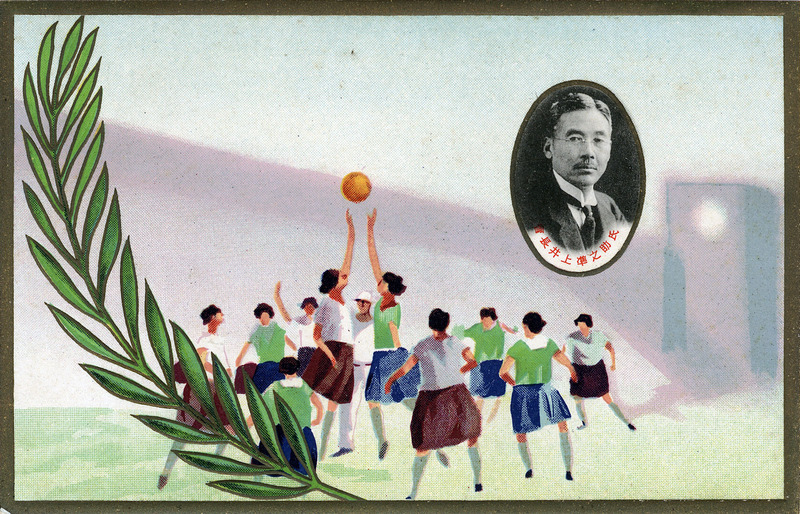 “That year  saw many other initiatives: the inauguration of the annual Meiji Shrine Games, the creation of national institute for research in physical education, and the proclamation of November 3 as ‘National Physical Fitness Day’. 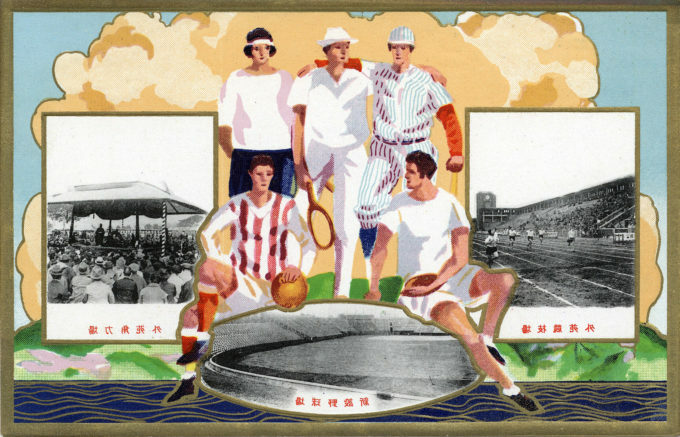 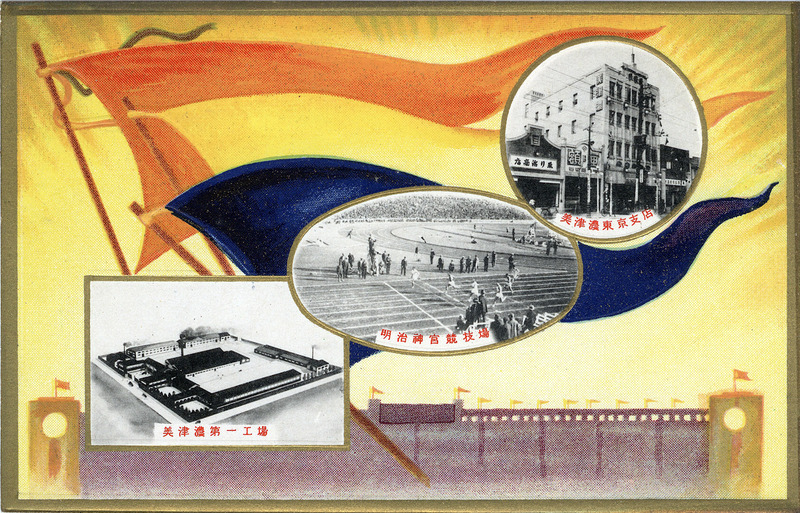 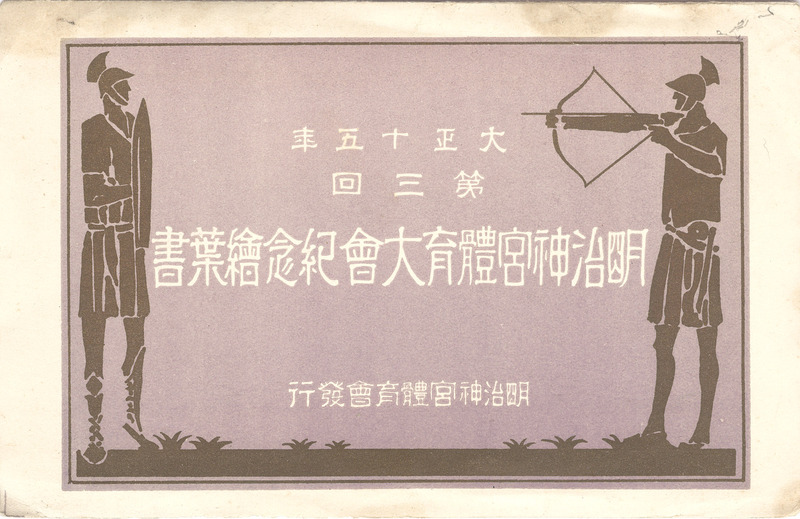 Cover of 1926 Meiji Shrine Games commemorative postcards, 1926.